Video and audio recordings of sermons, classes, and life milestone events. Select a media collection to get started, or use Media Search to dig into the archive. Just like in the game of baseball, the way to win in life involves a clear path, some guiding principles, a great team, and a lot of fun. 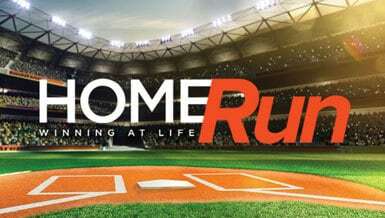 Achieving victory in life is like rounding the bases in baseballyou cant skip any bases if you want to have a Home Run life! The basics of baseball arent complicated: Through practice and preparation, your game will improve the more you play. Winning at life is the same: everyone can understand the basics and step up to bat. When a whole team gets on the field together, thats when the fun begins and the Home Run life happens!